A visitor driving along Grant Avenue through the center of Duquesne will see run down buildings, several parked cars, and a handful of pedestrians greeting friends. Although a few shops are open for business, a majority are boarded up with dust and cobwebs accumulating on the fixtures inside. It’s hard to believe this was once a bustling steel town boasting an approximate population of 20,000 in its heyday during the 1920’s through the 1940’s – and reduced to roughly 5000 residents by 2010. The life blood of the city was molten steel and the Monongahela River. When the steel mill stopped production in 1984, the city of Duquesne stopped with it, leaving only remnants of its flourishing past. Neighborhood on the east side of the railroad tracks in Duquesne, Pennsylvania, 1941. Tall buildings on the right belonged to Eagle Brewing Company. Photo Courtesy of J. Semago. One long forgotten part of the city was the neighborhood “below the tracks”. When I was growing up in the 1960’s and 70’s, the Carnegie-Illinois Steel Corporation occupied just about all the real estate along the Monongahela River on the east side of the train tracks. But, prior to World War II the steel furnaces only raged to the south of Grant Avenue, and an entire neighborhood existed to the north of the mill where the textile plant and food bank are today. This area “below the tracks” consisted of 33 acres and included over 600 families and many businesses (Duquesne Times, May 2, 1941, p. 1). 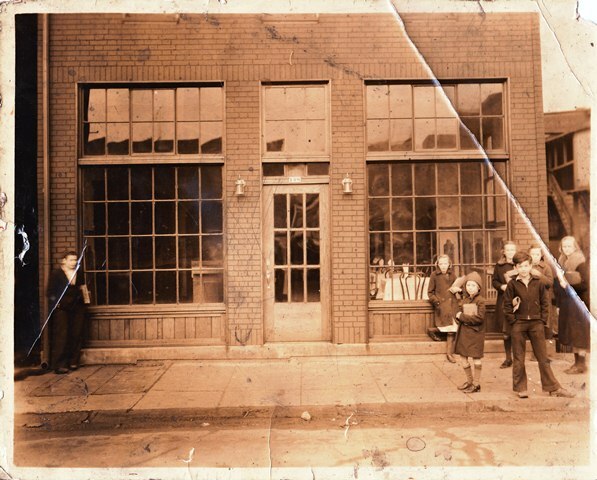 With the proposed expansion of the mill in 1941, all the local families and businesses relocated to other parts of Duquesne or nearby communities. 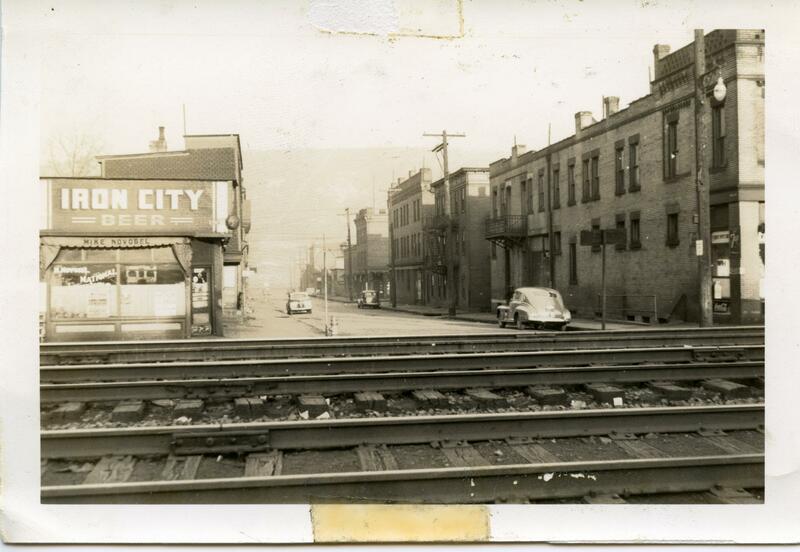 In 1941 there were 56 business establishments below the tracks in Duquesne. Photo Courtesy of J. Semago. Mike Novosel transferred his business property located on the corner of Milford and River Avenue for a consideration of $14,000. According to a 1925 map provided by the Mifflin Township Historical Society, the address at this location would have been 100 Milford Avenue. This corresponds to the 1940 business directory as the National Beer Garden and Lunch Room with Mike Novosel as proprietor. 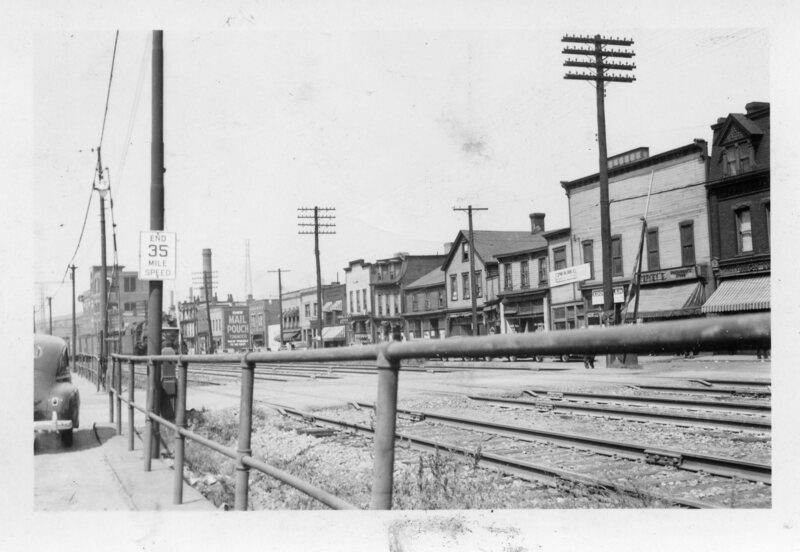 1941 Photo of Mike Novosel’s business at 100 Milford Avenue looking east along River Avenue. Photo courtesy of J. Semago. 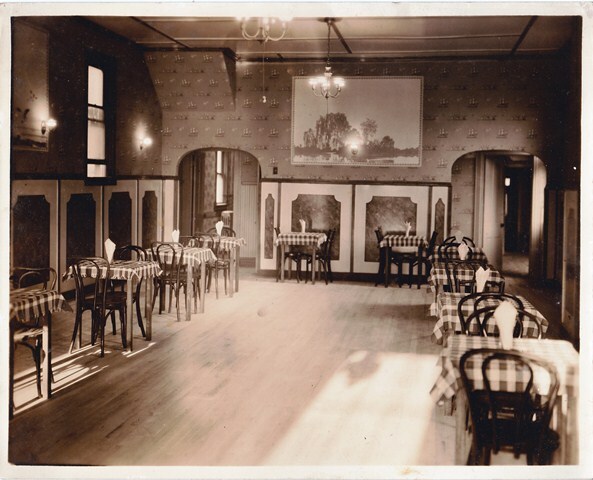 to the left is a 1941 photograph of the National Beer Garden and Lunch Room which also shows Novosel’s name on the building. The camera points east along River Avenue. According to 1930 and 1940 United States Census records, Novosel, with wife Anna and children, lived two doors down in property he owned at 5 River Avenue. Apparently the Novosels owned property next door at 7 River Avenue as well. My grandparents, Anthony and Catherine Salopek, rented this space from the Novosels for nearly five years. My father, John Anthony Salopek, was born at 7 River Avenue in January of 1932. He lived with his parents and sister on the ground level in a store front, and his parents rented out the upstairs rooms to boarders. John remembers getting hair cuts from Mr. Novosel who had been employed many years as a proprietor of a barber shop in Duquense. Milford Gardens was located at 108 Milford below the tracks in Duquesne. Photo Courtesy of John A. Salopek. Ivan (John) Vojvoda transferred his business property at 108 Milford also for a consideration of $14,000. The Milford Beer Garden would have been just a bit farther to the north of Novosel’s business. Both Ivan Vojvoda and his wife Sylvia were naturalized Croatian immigrants. Incidentally they lived at 5 North River Avenue in 1923 prior to the Novosels living there. 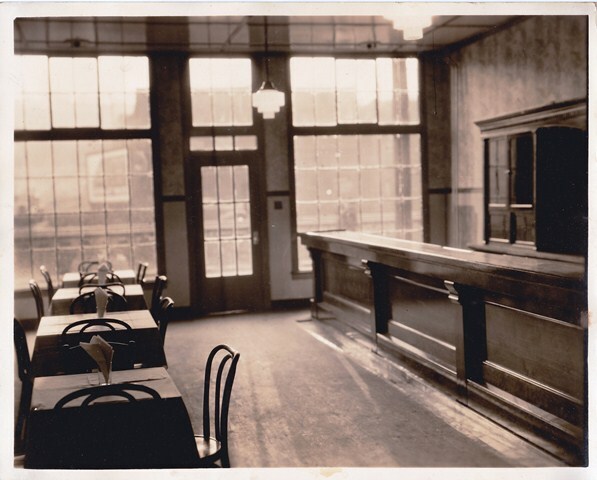 In the 1920s Vojvoda was a pool room proprietor before purchasing 108 Milford Avenue from Vaso Ikach sometime in the early 1930s and opening the Milford Beer Garden restaurant. Duquesne Times, 28 May, 1937, P. 8. Photo Courtesy of Mifflin Township Historical Society. The Milford Beer Garden advertised “good beer, wine, whiskey — and sandwiches of all kinds!” The “modern and beautiful” Milford Beer Garden was open for dancing every Saturday and payday nites! The front door and bar of Milford Gardens. Early 1930’s. Proprietor Ivan Vojvoda. Photo Courtesy of John A. Salopek. I remember visiting Kum Ivan Vojvoda when I was a young girl. By that time he was no longer living in Duquesne, and his daughter Katie was caring for him. I recall that she had candy dishes full of the most lovely hard tack candies – those candies were so beautiful in the shapes of ribbons and fancy designs. It tasted good too; they just don’t make that kind of candy anymore. I guess special candy is what a kid could expect from an important person. The May 28, 1927 issue of the Duquesne Times (p. 7) indicates that Ivan Vojvoda received an invitation to attend the coronation of King George the sixth. At that time period, Ivan would have been running his pool hall rather than Milford Gardens. According to the news article, “although he could not attend, Mr. Vojvoda was plenty happy and so proud of the distinction that he placed the invitation in a frame and it now adorns a nice spot on the wall where his patrons can believe what they see”. Perhaps many Croatian immigrants to Duquesne danced on this dance floor at the Milford Gardens! Photo Courtesy of John A. Salopek. If seeing is believing, then perhaps it may be difficult to believe there ever was a neighborhood below the tracks of Duquesne. The people living there have long gone, streets have ceased to exist, and buildings no longer stand to remind us of life past. Nevertheless, old photographs, maps, newspapers and documents remain to reveal the almost forgotten history and legacy that was forged along the Monongahela by the immigrants living below the tracks. June 2014 — “Where’s Waldo In Duquesne?” posted by the Duquesne Hunky. Marvelous panoramic photo of Duquesne taken in 1938 which included all of the neighborhood below the tracks! Thank you Pat. I had always heard that my grandfather Augustus Airhart, a Prudential agent, had worked with people who lived by the railroad tracks. It is neat to see some of the buildings he would have frequented. Our family lived up the hill on Peter Street. Thanks for your comment, Cammy. It’s nice to be reminded that neighborhoods don’t exist in isolation. 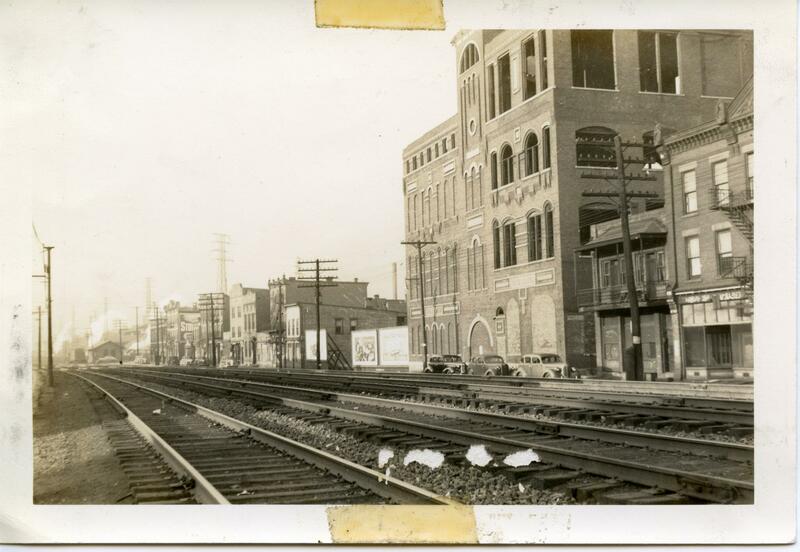 It’s hard to imagine what it would have been like with 20,000 people living in Duquesne and crossing the tracks, in both directions, to attend to their daily business. Thanks again! Hi, Cammy. You must be related to Fred; he and I were classmates at St. Joe’s. How/where is he now? Hi, Patty. Found your site linked to Jim Volk’s Duquesne Hunky page. My mother’s parents were Croats though they live in Turtle Creek. She was a good friend of the Stafura family. How are you related to Paul Stafura? He and I were classmates at Serra HS, in Serranaders together. Last saw him at a Tammies program at South Park a few yrs. ago. Geez, the internet sure has made the world smaller. Yes, Fred is my bother. He and his family are now living in Minneapolis. He has two children and three grandchildren. He is still working but looking at retiring next year. Will tell him you said hello. Thanks, Tell him I said stay well, be happy. I have three children, no grandchildren, living in Elkins, WV, few more yrs until retirement, too. Thank you so much for the information and the stories that go along with it. Ive lived in Duquesne all my life,still do. I seen CAMMY I believe mentioned she lived on Peter Street. I live there now at 117. I just rent but Id love to know any history of this house if she knew. Thanks again,Ive heard a few stories about below the tracts.but it was a joy to see some pictures. I cant get enough of this stuff. I’ll be checking back for any help with my question. My E-mail is jammed somehow. I used to live at 225 Peter Street. I has been so long since I lived there that I do not remember how the numbers went. 117 would be on the same side of the street but can you tell me if it is towards Kennedy or going down the hill. Also how many houses from 225 would 11 7 be located. Then will do my best to see how much I remember who was living there during the time I was growing up. My in laws lived at 208 Peter St. It was the third house from the corner at that time on the down hill side. That would have put it on the side of the Oriole Grill and Tap. I remember the Airhart name — and I’m pretty sure it was on Peter St — when I delivered the Daily News as a kid. Was it the house to the left of Simon Alley where the Vavra family lived? Hi Cammy: I was born below the tracks in 1931, and still live in Duquesne, would you believe? Never left the town. I lived on Peach Alley and attended Holy Name School, crossed the tracks to get to school. I remember Dad Kelly’s store and shopped for penny candy. What good memories. Wonderful photos of Duquesne. Enjoyed seeing them.